We are located in Irondequoit, NY and offer baseball and softball programs, in spring, summer, and fall. 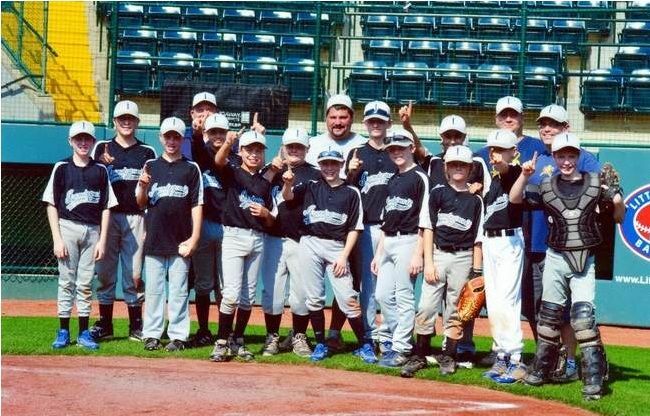 Irondequoit Little League (IRLL) is in its 65th year and is a member of New York District 4 providing the best Baseball/Softball experience available for every player at any skill level. NY District 4 has nearly 8000 players ages 4 through 16 playing in Baseball, Softball and Challenger programs. The region encompasses Monroe County and selected nearby towns including Victor and Macedon providing the highest quality programs developing our youth into better players AND better people. Little League has instilled leadership, character, courage and loyalty in all that participate, including the nearly 1.5 million adult volunteers. Little League can be found in more than 80 countries worldwide with more than 2.4 million children participating each year. Little League is the largest youth sports organization in the World. 4. After the screen refreshes to the team's schedule, click on the small calendar icon next to the word Schedule and then click on the options button. Click on subscribe and choose iCal. You should get a pop up asking if you want to subscribe to the calendar. Click Subscribe and you should then see a pop up confirming the subscription. That's it. All of your team's scheduling events going forward will automatically be synced with your iOS device for the remainder of that season. At the end of each season you'll want to delete that calendar from your device (in Settings, go to Mail, Contacts, Calendars), and you'll want to re-do the above steps to add the schedule at the beginning of each new season. Please watch the video below to add one or multiple children's schedules to your Google calendar. Not showing on your mobile device??????? After you have completed the video portion click here and make sure the IRLL calendar you created on your Google calendar has a check mark next to it. At Roberto's Kids, their global reach and leadership bridges the gap between different cultures through baseball. Their organization partners with communities as they develop and nurture social responsibility. 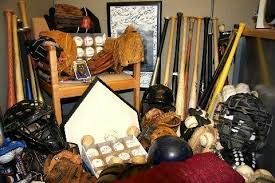 They achieve that through the collection and distribution of new and gently worn baseball equipment. They work with baseball leagues, charitable organizations, individuals and retailers in the United States, Canada and Latin American countries and AIAA is one of them. This is a great opportunity to give back to the baseball community. They have sent us a thank you letter for our first shipment. You may see that letter by clicking here. If you want more information about this organization click here to be brought to their page. Please make sure you read all these and follow for 2015. 1. A parent, guardian or other designated adult MUST accompany each child to all practices and games. 2. Plan your schedule accordingly for an “on time” arrival to games and practices. Coaches may ask that kids be there 30 minutes prior to game time for warm ups and position assignments. 3. In the event of a medical emergency or injury, the parent is responsible for all medical decisions and treatment for their child. 4. Please make your coach aware of any health, medical conditions, allergies or any expected absences due to illness or other schedule conflicts. 5. If lightning is observed anywhere in the vicinity of a game or practice, all play must end immediately and the field must be evacuated as quickly as possible. An “all clear “may be given after a 20 minute waiting period. 6. In the event of questionable weather, plan on attending the game unless you are contacted by the head coach or Irondequoit Little League prior to the game. There may be occasions when a final decision to play is made at the field. 7. Parents and coaches are expected to be good role models for sportsmanship and teamwork. Let’s all do our best to have fun and praise the good effort despite the score. 8. Support the umpires, coaches, managers and the local and Little League rules. Arguments and foul language will not be tolerated. Contact league officials regarding any concerns or questions. 9. We are guests on ALL of the fields where we play. Please follow the carry in/carry out policy. Report any safety concerns to your coach or your division commissioner. All of our news posts on our website will post on Twitter as well. Check out the article in the Irondequoit Post about AIAA!